Facts about hot water heating systems is an article that will help anyone to better understand the basic operating principles of a hot water heating system. 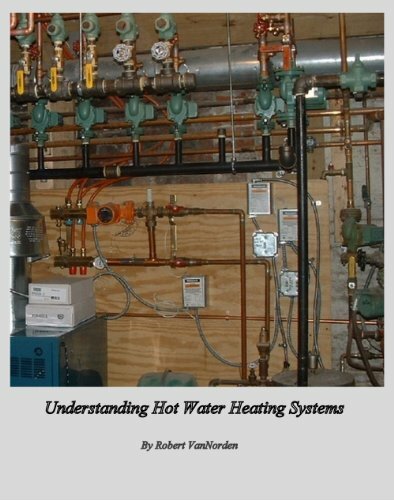 Hydronic, or hot water heating has been in use for many years. Simply put the system uses heated water to warm the living space in which it is installed. This type of heating is known as radiation. It is supplied by a boiler and uses normal convection or fan assisted convection to heat any area. Most hot water heating systems will start with a central boiler. This boiler may or may not have a tank which water is heated in. Some new models are tankless. Both use fuel, be it gas, oil or electricity, and now add wood or pellets, some sort of fuel is burned to provide the energy that heats the water. After being heated to approximately 200 degrees, the hot water is then circulated through the radiation which is connected to the boiler by a loop or loops. This circulation is managed by a designated pump to heat that area. Multi zone systems will have several loops to different areas. Each zone has a circulator pump that moves the heated water on a call from a control. This control gets it's message from the user adjusting an electrical thermostat within the area the zone is servicing. Once these thermostats are set they become automatic, turning the system on and off with temperature rise and fall. Relays are used at the boiler to call in any necessary equipment. It is essential that the right amount of radiation be installed in each area to keep the temperature even throughout the room. This is done with a computer generated heat loss that will tell you how much baseboard is needed. Some systems have no baseboard and instead rely on tubing installed in the flooring to create the radiation needed to heat the area. This is known as radiant heating and is just one of many forms the radiation can take within a hot water heating system. So the basic series of operation is a call from a thermostat comes when heat is desired. The boiler is energized and comes on to provide heating. 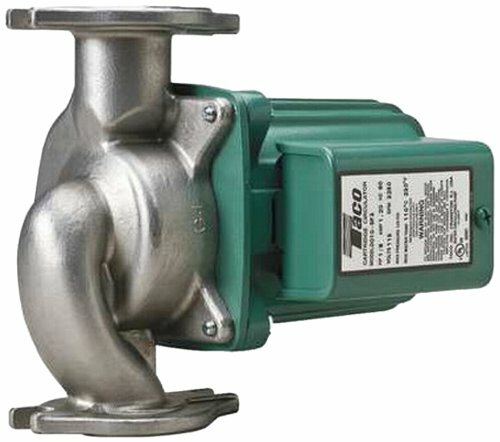 The proper circulator pump is also energized and starts to circulate water through that zones piping and back to the boiler. As the water pass through the radiation the heat is transferred to the room it's heating through the convection process. This simply uses the principle that heat rises. When the radiation is heated the air around it gets hot and rises. When this happens new air is pulled in from underneath and the process continues until the room thermostat is satisfied. At this point the system goes into standby and waits for the next call for heat. Heating systems of this type, are normally a closed system and should always be checked regularly for any leaks. Even a drip from a valve can cause premature system failure due to added minerals corroding equipment. When any water leaks from the system new water is automatically added to the boiler as a safety feature to keep the boiler from running dry and burning up. This added water will corrode components and the boiler rapidly. Fix any leaks immediately. This book will take you right through your heating system. 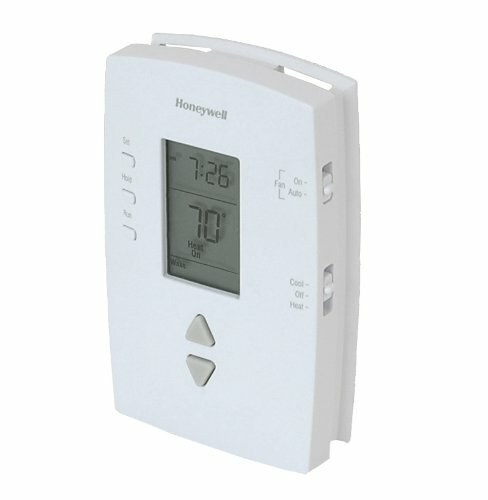 This programmable thermostat can save a huge portion of your heating costs.